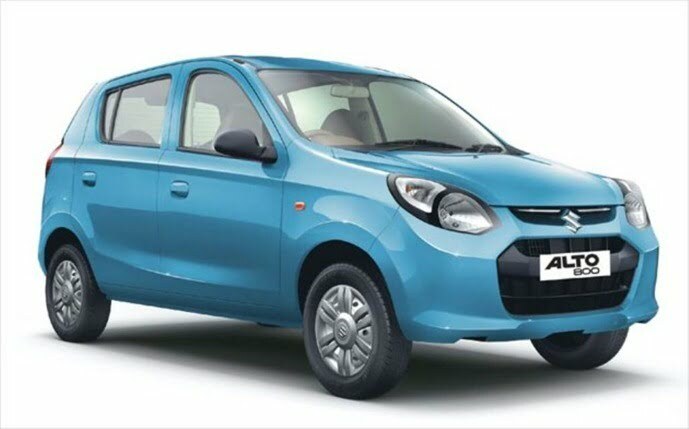 Yesterday was an important day for Maruti Suzuki as it launched the much awaited Maruti Alto 800. The company was so full of confident not just because of its new model being launched but because of the response it received well ahead of the announcement of the prices. As per the company it has already registered 10,000+ bookings for the Maruti Alto 800. 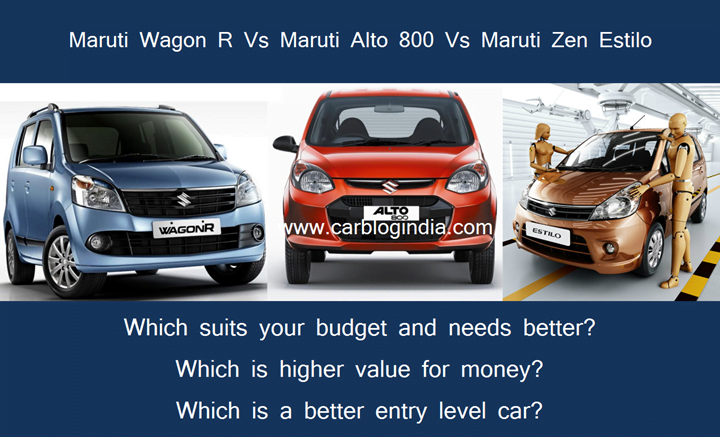 We have already compared the Maruti Alto 800 VS Old Model Alto and also with the nearest rival Maruti Alto 800 Vs Hyundai Eon. Now coming to the soul of this post now, we wish to find out whether the Alto 800 is better than its entry level siblings such as the Maruti Zen Estilo and Wagon-R? Let us find out. The Alto 800 is an all new car and is not on the lines of any of the previous or existing Maruti models. It looks refreshing mainly because of its design, though the overall profile has been kept similar to the Alto and Maruti 800. Contrastingly the Estilo and Wagon-R sport a tall body design which could seem favorable for many people who want a good ride height. The design elements of the Estilo and Zen are completely different from what you see on the Alto 800. Body design wise the Alto 800 does look curvy because of the character lines but essentially features a boxy make, and so does the Wagon-R. The Estilo on the other hand has a curvy profile which though makes the car look good, compromises on the interior space. 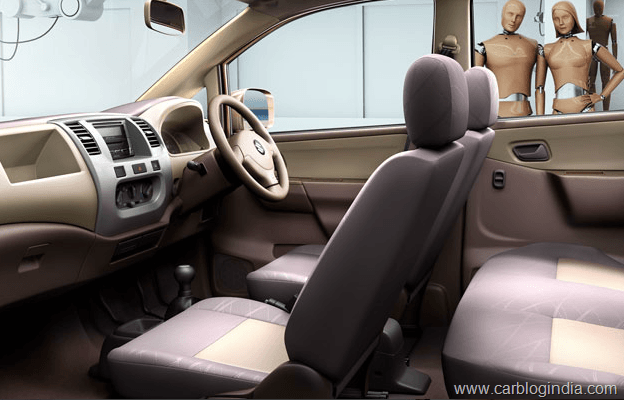 On the inside, the Alto 800 does have get tremendously improved plastics quality and also a refreshing design, over the previous Alto or Maruti 800. 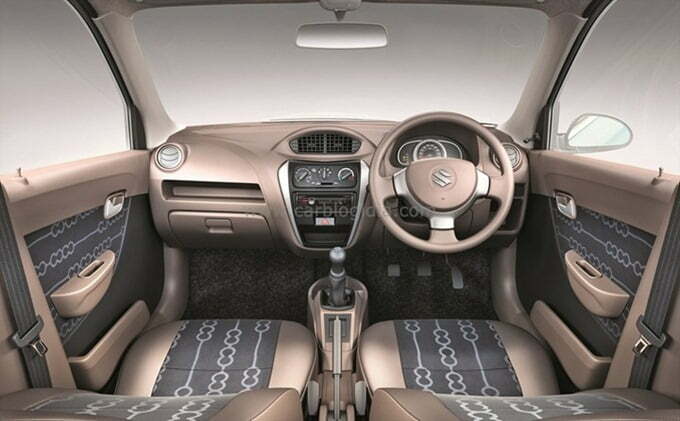 The Wagon-R and Estilo interiors are different from each other as well as different from Alto 800. 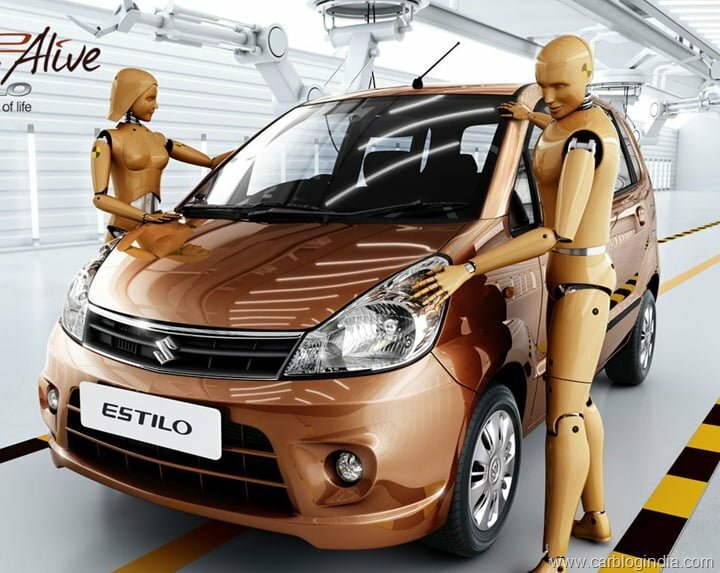 The Estilo has a very curvy styling whereas the Wagon-R features a flat dash design. 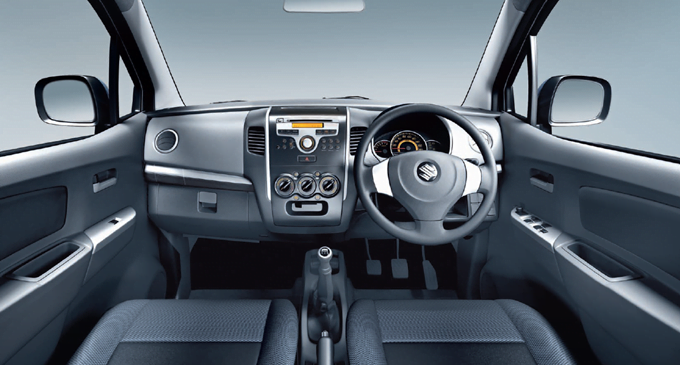 In terms of space, the Alto 800 has much to offer alike any other Maruti model, but when it comes to real space the Estilo and Wagon-R do a much better job. The Wagon-R is the most spacious of these cars and if you really want an airy feel on the inside, no look further than the Wagon-R.
As you must have noticed here, the Wagon-R and Estilo equip the same K10B 998CC engine which puts out a max power of 67 BHP at 6200 RPM and a peak torque of 90 Nm at 3500 RPM. 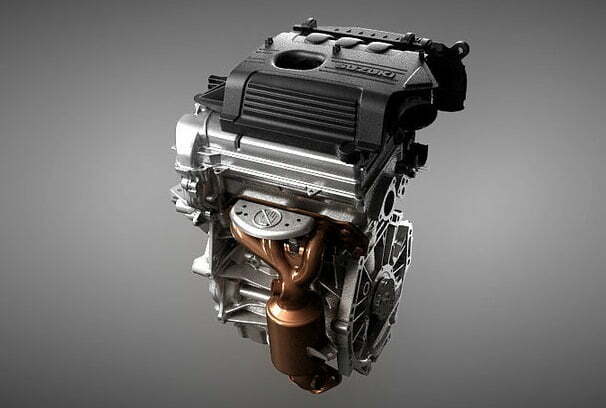 The new Alto 800 features the improved FD8 engine that is good for 47.5 BHP of max power at 6000 RPM and peak torque of 69 Nm at 3500 RPM. Evidently there is a big gap between the power and torque outputs of the Alto 800 and Wagon-R & Estilo. So one may feel underpowered in the 800 but not to forget that this car offers better fuel efficiency than the Estilo and Wagon-R. The Alto 800 returns 22.7 KMPL as against the 18.9 KMPL delivered by the other two. Let us start with the Alto 800- It is the cheapest of the three cars and is a seriously cost down car. Maruti has designed the car while keeping in mind the need of a cheaper alternative to the Alto, which has the looks but is also very much affordable at the same time. The base variant of the Alto neither has power steering nor an AC, while the top end comes with both these features as well as front power windows. The Wagon-R and Estilo also come with an LX base variant which lacks a power steering but does offer other basic features. Now it is quite simple to understand that Alto 800 is meant for people who don’t need much features and only want a simple car that is comfortable and offers a good fuel efficiency. 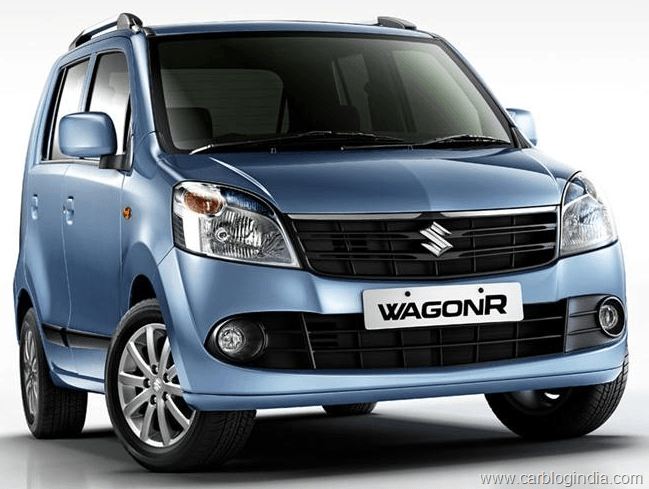 The Wagon-R and Estilo are relatively upmarket products and are targeted at prospective buyers who want features, comfort, better performance and space at the same time. Although these cars cost more, but if you need a larger car with more space and features, then Estilo or Wagon R are better options, but it will cost more too.